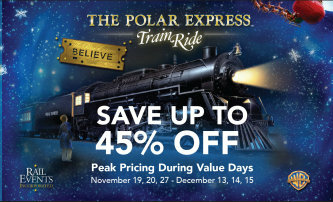 Hot Deals: Kids ride free, Senior Discounts, Backpacker specials, & more! Train/Bus Combos: We know your time is precious, here are the options. Package the train with another activity: Yes, you can do more than just the train in one day! 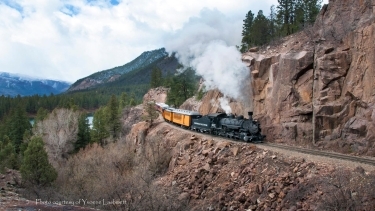 Our museums are offered at each end of the line - one in Silverton and the other in Durango. You'll discover the rich history of railroading, transportation, and mining while rubbing elbows with people from around the world. New exhibits are added frequently, and admission is FREE! Tucked in the back of the rail yard, step back in time and learn about this area's rich history and how the railroad was crucial to survival. Our staff is knowledgeable and ready to help you learn about the history of railroading. 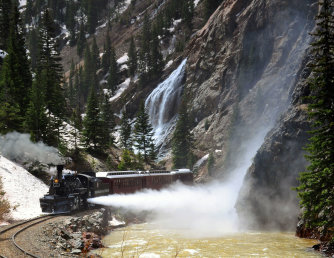 Open from May to October (the Silverton train season). Once the main lifeblood for Silverton to the outside world, learn about the strength and tenacity of this railroad and mining town and people. 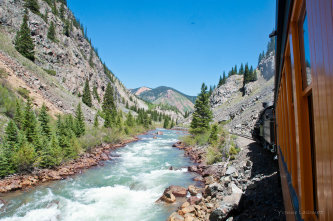 The railroad continues to be an important part of Silverton's community.